A new catamaran with top-notch services. and live a top-notch experience with the new Lagoon 42 Catamaran. and navigate between Barcelona and Costa Brava with top-notch services and skipper. 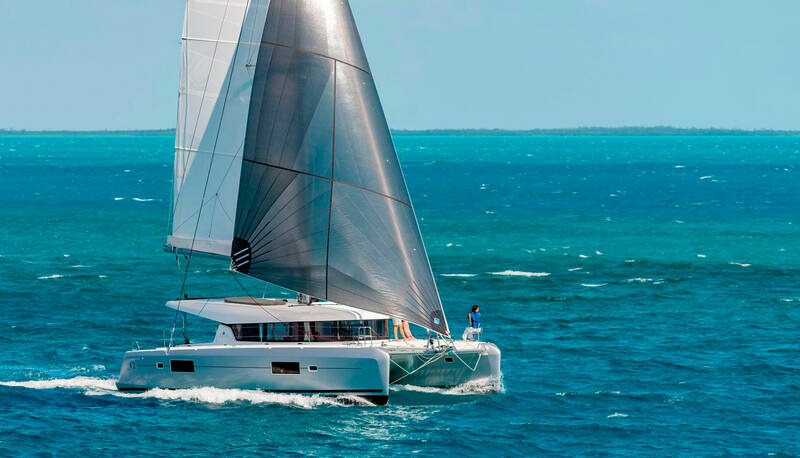 A Lagoon 42 catamaran with a new stylised hull giving it a more sporting look and enabling more streamlined and faster pilotage. Thanks to this evolution, the catamaran is no longer just a relaxing vessel but is also a sailing boat with high navigability performance. However, these characteristics only define the more technical part of the catamaran. 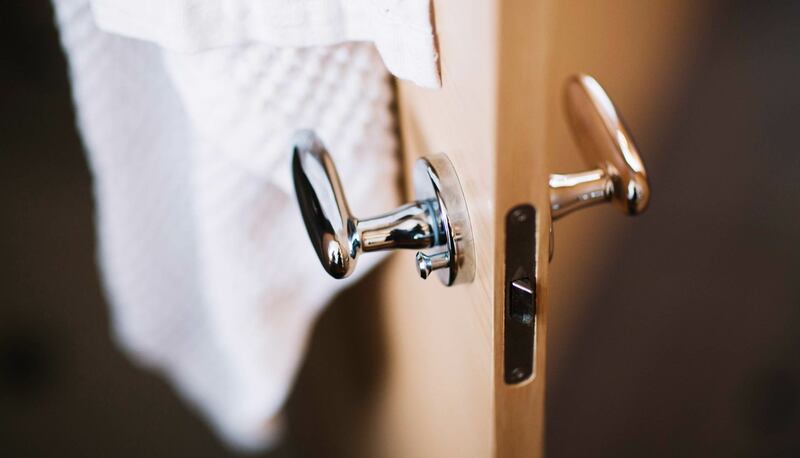 What characterises the Beluga experience is the whole host of services, accessories and details, very carefully selected and taken care of, to ensure a unique stay and sailing event. We encourage you to charter the Beluga and enjoy a top-notch nautical experience. Charter a luxury sailing boat for eight people, with skipper included and top-notch details and comforts. 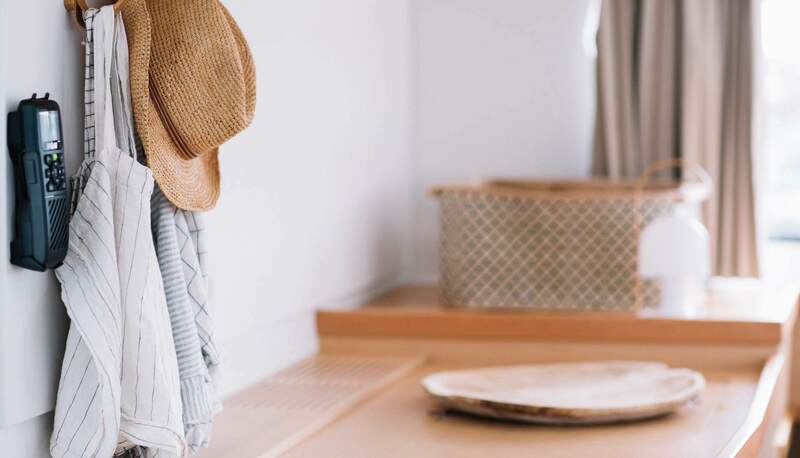 Navigate the routes we suggest to discover the best places on the Barcelona coast and the Costa Brava, which have been designed so you can make the most of the landscape, the gastronomy and the Catalan culture. 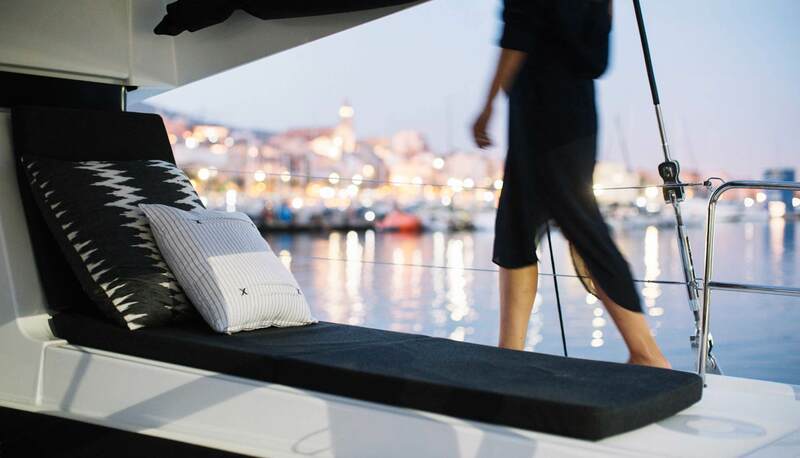 Would you like to enjoy chartering a top-of-the-range catamaran in Barcelona? Choose the Beluga Catamaran: our catamaran is at your disposition! or colleagues, adapted to the number of people and the features required by each client. 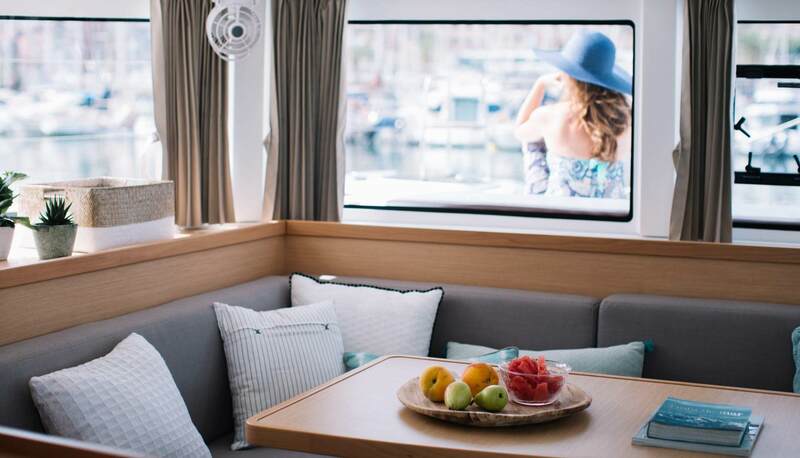 It is, without a doubt, the ideal option for taking a trip by catamaran in Barcelona, as well as for enjoying sailing routes with their destination in other nearby ports. 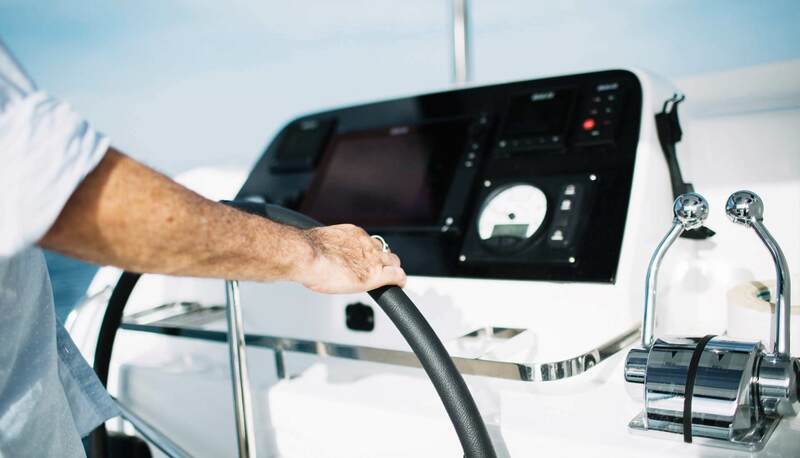 We make it easy to rent yachts in Barcelona, so you can organise a surprising professional event, take a longer trip or simply enjoy a holiday on the sea. Enjoy a different experience with our catamaran charter service in Barcelona! Enjoy the best catamaran excursions to the Costa Brava from Barcelona on the Beluga Catamaran. 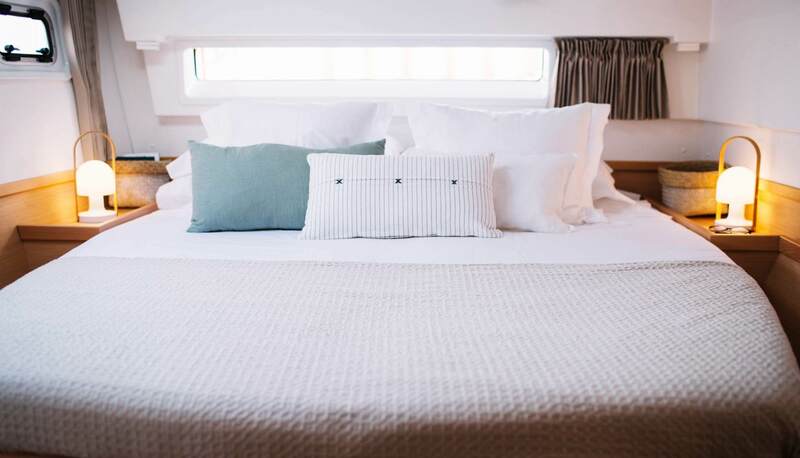 With a skipper and in a vessel that has the best amenities: kitchen, comfortable cabins, lounging areas and a large exterior space to enjoy the magic of this route. Contact us and get to know more about our catamaran charter service to the Costa Brava from Barcelona! you will only ever want to sail in the Beluga Catamaran again, with its high level of service and comforts. . Climate control with air conditioning and heating. Solarium area padded in prow. sea and all the possibilities it offers to enjoy a unique experience. Multilingual skipper with extensive sailing experience. Accessories for water entertainment: snorkelling and standup paddleboarding. Solarium on the prow and stern with comfortable mats and cushions. Sunscreen awnings on cockpit.